In February, AES Energy’s Escondido battery storage facility in California was hailed as the largest one to date, with a capacity of 30 MW/120 MWh. Now, Tesla is building a bigger one—100 MW/129 MWh—in Australia. On the face of it, it’s a race for the bigger battery storage system. But there’s much more to it than that. The race is on for increasingly reliable, grid-scale, quick-to-install energy storage solutions that will make the shift to all-renewable power much more realistic. In this, factors such as renewable-friendly regulation and integration of storage systems with renewable power generation capacity can tip the energy transformation scales. California is one of the places to be if you’re a renewables fan. 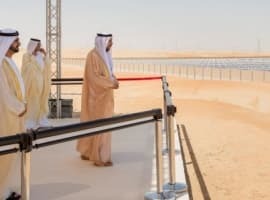 Its authorities have ambitious plans in this regard, eventually hoping to replace all fossil-fuel generation capacity with renewables. Wholly reliable grid-scale storage systems are crucial for this strategy, and they are becoming increasingly popular in the state. Unfortunately, the initiative to make the 100-percent renewable plan a law fell through. Unions, worried about possible job losses, pulled their support. Legislators themselves tweaked the bill, so its goal is now to produce 100-percent greenhouse-gas-free energy. The debate about the feasibility of the plan and how fast it could become a reality continues. California is a cautionary tale for other ambitious clean energy proponents. Related: Can Russia Develop Its Shale Reserves? Meanwhile, the leaders of the battery pack are expanding. AES recently teamed up with Siemens on a joint venture, Fluence, focusing specifically on energy storage system development. Fluence will deal in AES’ Advancion and Siemens’ Siestorage platforms, the companies said, adding it will target the development of new energy storage capacity across 160 countries worldwide. Tesla is looking in another direction. It already has the largest portfolio of completed energy storage projects globally, at 300 MWh. What it is looking for now is integrating future storage systems with wind and solar electricity producers. When Tesla said it had won a deal for the construction of the world’s biggest lithium-ion battery storage facility in Australia, it noted that the deal involves partnering with local wind power producer, Neoen, which will supply the battery complex with electricity. At the same time, AES is working mainly with traditional utilities to supply them with energy storage capacity, focusing on constantly improving the energy density and efficiency of its arrays. Tesla’s all-renewables focus is well documented, and now it could give it the lead in the energy storage race. Related: Could Kurdish Independence Spark An Oil War? 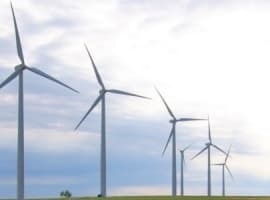 Earlier this month, Tesla closed another partnership, with wind power leader Vestas, to develop integrated wind power-energy storage solutions. The Danish company announced earlier this year that it has big plans for energy storage, with Chairman Bert Nordberg telling Reuters that the company had 3.2 billion euro (US$3.84 billion) in cash and no debt, so it could afford some good investments. So far this year, Vestas has invested in almost a dozen battery storage makers. 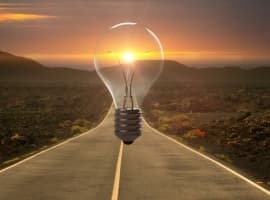 Energy storage, according to AES’ CEO Andres Gluski, is “the Holy Grail for renewables.” It is the key to the renewables kingdom of the future, eliminating the adverse effects of renewable power’s intermittency. Integrating this Holy Grail with the clean energy producers is the next step. Tesla and other battery makers have already made it. Yet staying with traditional utilities might not be a bad strategy either: it will be some time before renewables become the predominant energy source in the world.